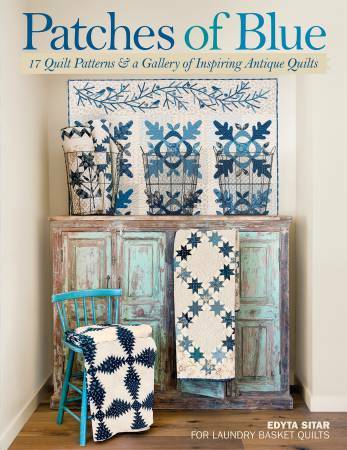 Discover the classic combination of blue and white in a collection of breathtaking quilts that's sure to capture your imagination. Acclaimed author and designer Edyta Sitar of Laundry Basket Quilts shares dozens of antique quilts in a gallery of inspiring photos and follows with patterns for 17 gorgeous quilt designs. Mixed in with the stunning array of quilts and patterns are photographs taken in and around Edyta's home in southern California. Take a journey with Edyta as she embraces her fresh start in a new location, exploring the beauty surrounding her. Her signature style is artfully reflected in exquisite shades of blue and white.